FSSA Annual Forum: FSSA offers a program of dynamic speakers, educational sessions, technical sessions and forums amongst your peers to discuss real-time issues affecting our industry. As a member-only event, you won’t want miss this opportunity for industry networking, education, information gathering and social events. For more information on the 37th FSSA Annual Forum, Click Here. Annunciator E-Newsletter: This publication is free to members and includes the latest association information, member news, industry news, technical updates including information on NFPA, HARC, and other influencing organizations, as they pertain to the fire suppression industry. Discounted Publications: FSSA offers members a wide variety of publications for sale at 50% off the published rates, such as the Fire Protection Systems Inspection Form Guidelines (Clean Agents, CO2, Kitchen Systems, etc), Pipe Design Handbook, Design Guide for Use with Carbon Dioxide, Total Flooding Applications, and more. Committees Working for You: FSSA has several committees who work diligently throughout the year for the greater good of the suppression industry. Committees include: Codes & Standards Oversight, Education, Marketing, Membership, Program, Public Policy, and Technical. NFPA Committee Representation: FSSA has representatives who serve on NFPA committees on behalf of the association and for the industry. As a member, you benefit from gaining insight on new and/or existing codes and standards, in addition to having the opportunity to represent FSSA on NFPA committees. 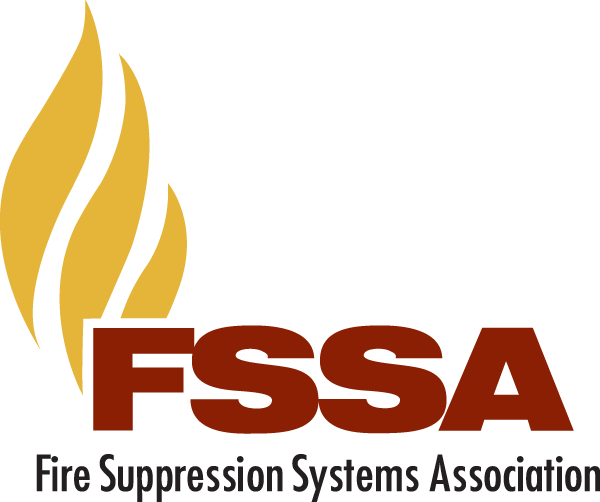 Educational Foundation: In 2017, FSSA awarded $20,000 in scholarships to up and coming students studying in the field of fire suppression. These scholarship are continually given out on an annual basis. Training Program: FSSA's Online Training Program is designed to educate and train personnel within the fire suppression industry. It is a self-paced compilation of four separate training modules, and the only one of its kind in the suppression industry. FSSA members receive discounted pricing and can save up to $785! Click here to apply for membership with FSSA. All applicants applying for membership need to be regularly engaged in business in the applicable class for a period of at least one (1) year. Note: All applications for membership are reviewed by the membership committee and board of directors for approval. This will take approximately 2-3 weeks.